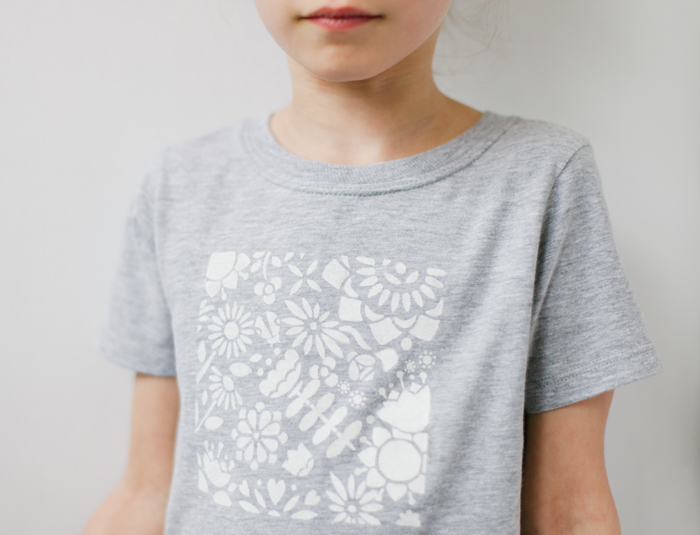 diy tee shirt featuring handmade charlotte stencils. 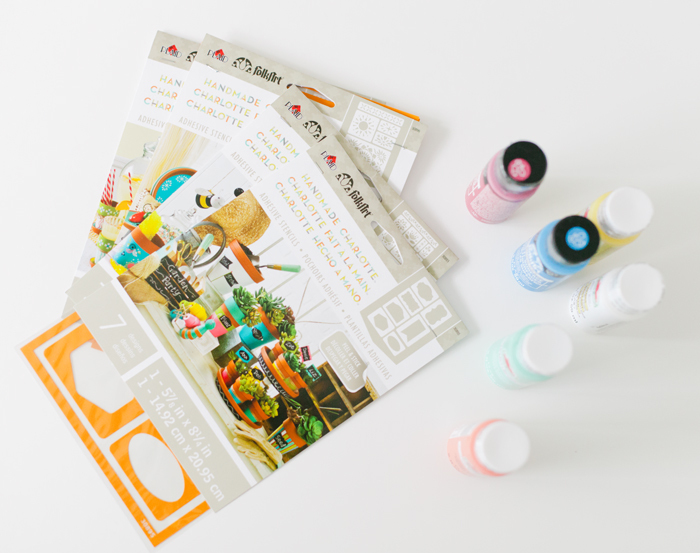 . .
Not too long ago I was contacted by Kollabora and asked if I wanted to do a project using some goodies from Handmade Charlotte. They kindly sent me some really neat peel and stick stencils and paints. The tee shirt above is what I came up with! I wasn't sure what I was going to do at first but since I'm a fabric lover I was leaning towards doing something involving clothing. I then came across this post in my blog reader and just knew I had to get some white paint! 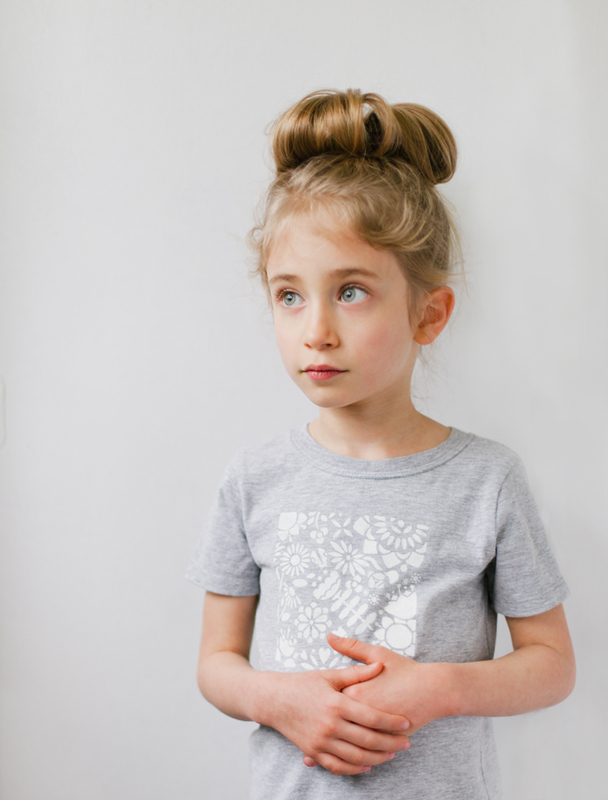 I've never really done any sort of stenciling on clothing and was pretty nervous. I did mess a up a spot on the tee-shirt but was able to fix it by mixing up a bit of grey paint to use as a cover up. It worked surprisingly well as I can barely see where I messed up. I think using a heather grey fabric was a wise choice as it hides little imperfections well. The peel and stick feature of the stencils really came in handy for this project because I was able to get really clean lines. 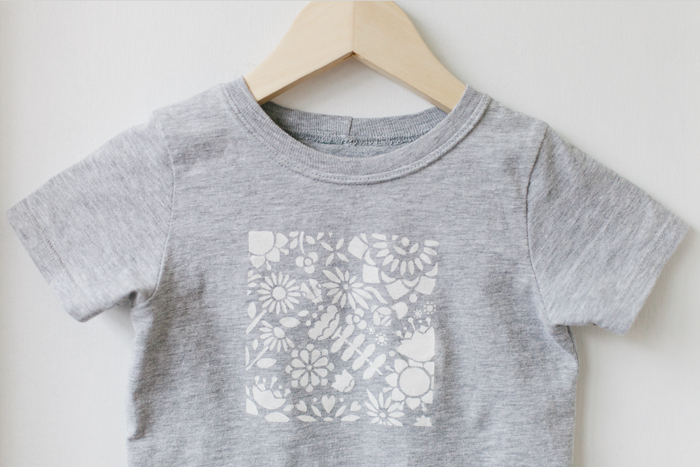 *I used made by rae's flashback skinny tee pattern to make my own tee shirt. To speed up the process I used an extra large women's shirt and cut my pattern pieces to make use of the existing hems. I also used a seam ripper to remove the neck ribbing and reused it. I used freezer paper to create frame - the kiddo picked a square. 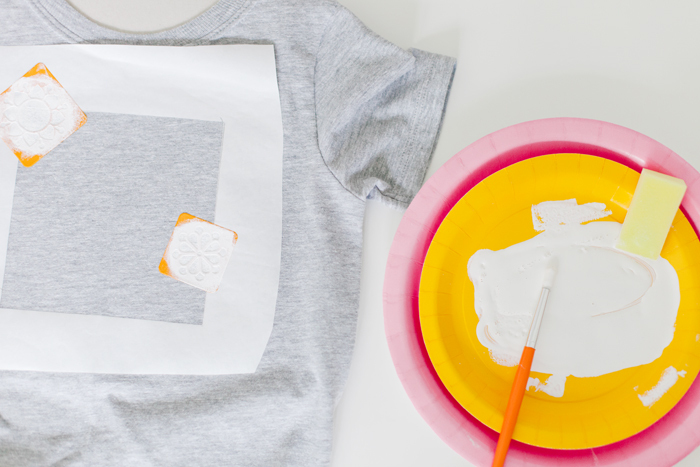 Once the freezer paper frame was ironed onto the fabric, I simply placed the stencils onto the tee shirt and sponged or brushed on paint. I let the paint dry for just a few minutes before peeling off the stencils and placing more until I was happy with my design. Once completely dry, I heat set the paint using my iron. I love the cute garden motif - flowers, bugs, leaves, etc!